On Saturday is the launch of the Inspiration Japon charity sale for Japan. 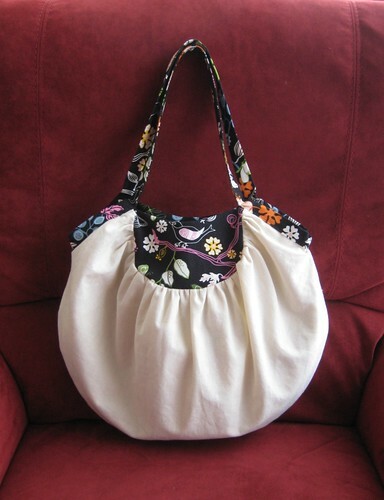 I had a busy schedule the past weeks so it was hard to find the time to sew, but I managed to finish (almost) on time! 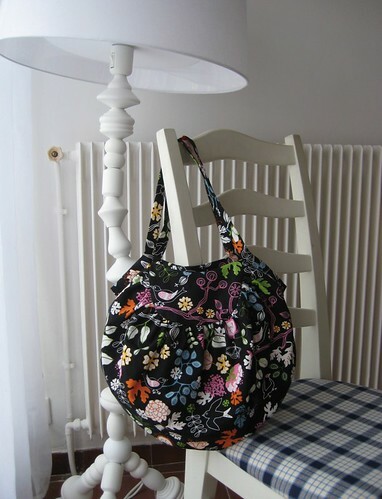 I’m happy to share with you my first bag from the Lisette japanese pattern book. I wanted to make something useful and for which the buyer’s size wouldn’t matter. An accessory therefore seemed appropriate. The only constraint was that the object offered had to be related to Japan in some way (fabric, theme, pattern…). 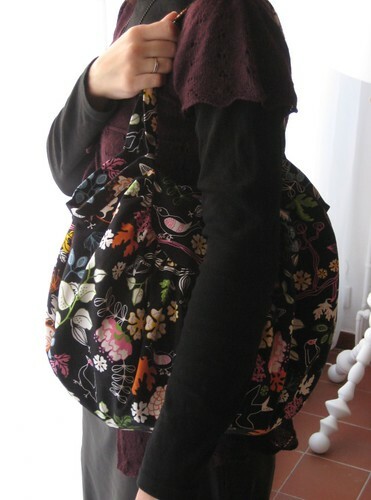 I wasn’t really inspired by my japanese fabrics for this, so I turned to my patterns and decided to try this bag. It seems quite popular in the french sewing community, I thought it would be a good occasion to try it. 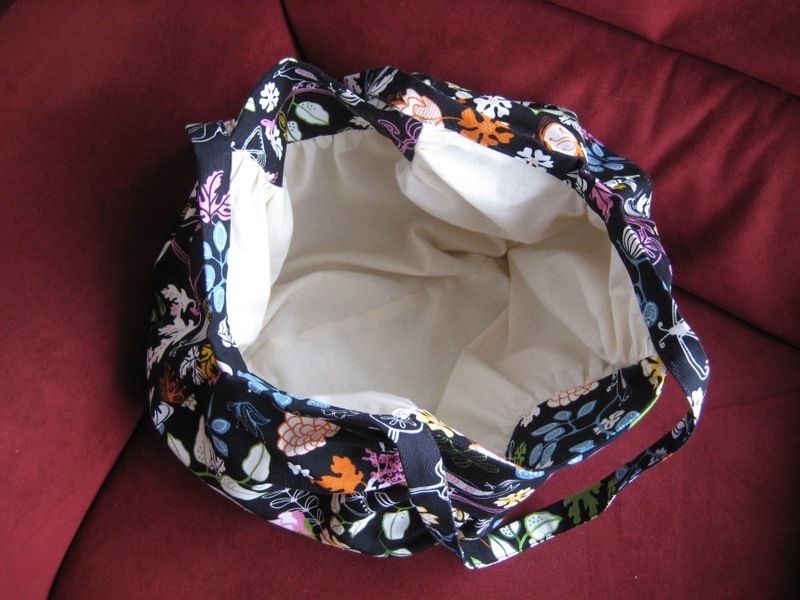 In a sense it was liberating to make this without anyone in mind, as I was able to just follow the pattern and instructions. I didn’t feel compeled to modify it to suit someone’s need in particular. I did add a lining though, as I feel such a bag wouldn’t be complete without it. I didn’t have any problems with the pattern, it’s quite easy to construct, even if the gathers make it a little time consuming. The only difficult part was sewing the handle at the point where it’s attached to the body, as it’s quite think there because of the different layers of fabric. The stitching line is not as straight as I’d like it to be, but it is ok. All in all I’m quite pleased with it, and happy with the finishing I did. I tried my best so that the person who will get it would be happy with it. 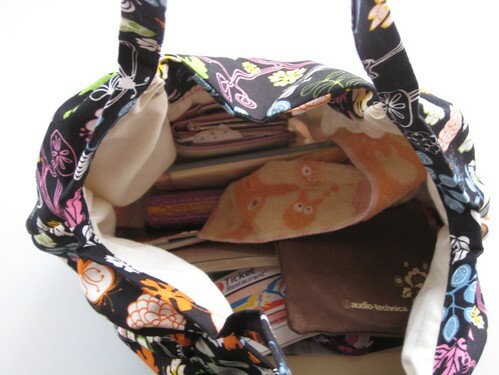 It’s a little stressful to know the bag will be bought by someone I don’t know, it feels like a big responsibility.